The property is situated within a very attractive 1980`s mews style development with private gated entrance and courtyard. The available premises form part of a terrace of 3 storey office buildings. The subject suite is located on the second floor which incorporates a mezzanine floor. Access via external landing or alternatively from ground floor. The suite is open plan with excellent natural light. Shared WCs and Kitchen on the ground floor. • Carpeted floors; • Plaster painted walls; • Lighting; • Air Conditioning; • Shared Kitchen; • Shared WC’s. The property is situated on the eastern side of Northfields, close to the junction with Putney Bridge Road (A3209). The premises overlook Wandsworth Park. 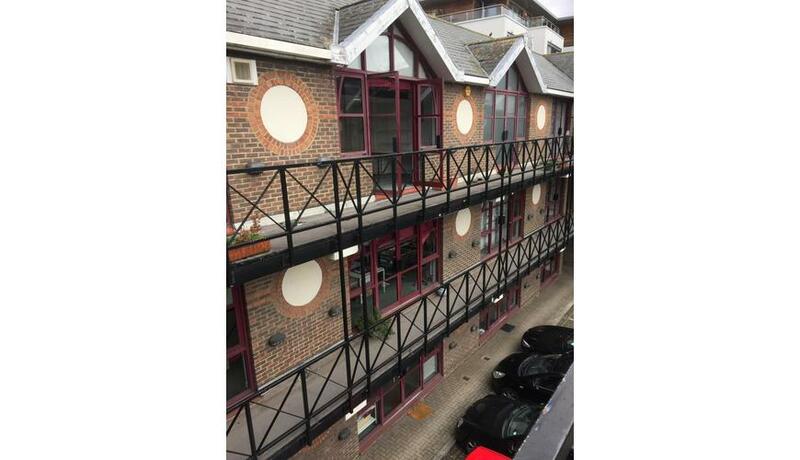 The premises are within very close walking distance of East Putney and Putney Bridge (district Line) Putney and Wandsworth Mainline stations are within reasonable walking distance. Business rates: Payable for the year to 31st March 2018 is approx. £ £4,490.32.